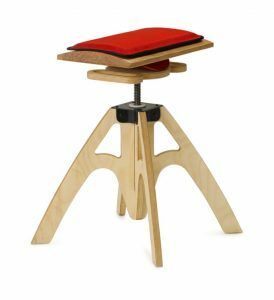 The Alpha chair, designed for active sitting. I use this model at my studio. Maybe you’ve tried “ergonomic” chairs, with little luck. I’ve found next-gen ergonomic chairs: chairs for active sitting by QOR360. I love them. I’ve invested in two (so far). How Are QOR360 Chairs Different? The problem with sitting is, we stop moving. We collapse into ourselves: digestive organs smoosh together, spine support disappears, and we overwork our neck to see the screen. Basically, we sit like a cashew. I’ve taught one active sitting workshop, with lessons to take full advantage of your QOR360 chair. Let me know if you’re interested in taking another, once you’ve invested in your chair: you’ll attend as my guest. I’m such a true believer that I’m now an affiliate seller. Use the code “DallasFeldenkrais” to buy and save 5%. Once you’ve chosen your chair, put that into your shopping basket, and type the code in. Click here to see all your options. By the way, I recommend that you choose the Comfort Cushion option. Slightly softer than the standard cushion, but still quite firm. It’s $50 more and well worth it. I purchased comfort cushions for both of my chairs. The Newton model. I use this one at home. Wheels are optional. Designed by QOR360. There’s no down side to trying the chairs. Shipping’s free and you get one month to experience them. If you don’t like them, just return for a complete refund. 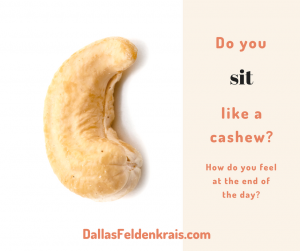 Email me to schedule a time to come by and try the Alpha: angela at dallasfeldenkrais dot com. Here’s lots more info about the chairs and the company, QOR360.